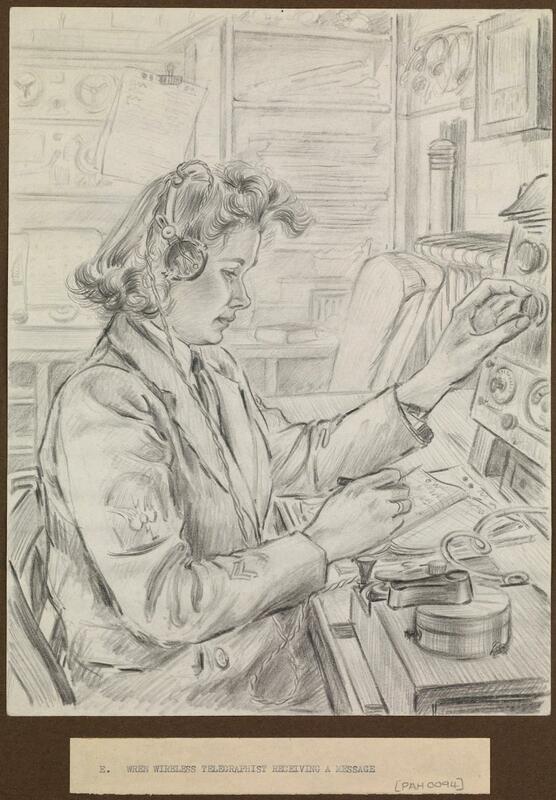 Gladys Reed, a wireless telegraph operator who served in Liverpool at the shore base HMS Eaglet, made these sketches of women working in the British Royal Navy during World War II. Women enlisted in the Women’s Royal Naval Service were known as “Wrens.” Many worked in communications, like Reed. Others served as cooks, censors, mechanics, or worked on decryption at the famous Government Code and Cypher School at Bletchley Park. At Liverpool, Wrens assisted in coordinating the convoy system that allowed ships to cross the Atlantic Ocean past the threat of German U-boats. 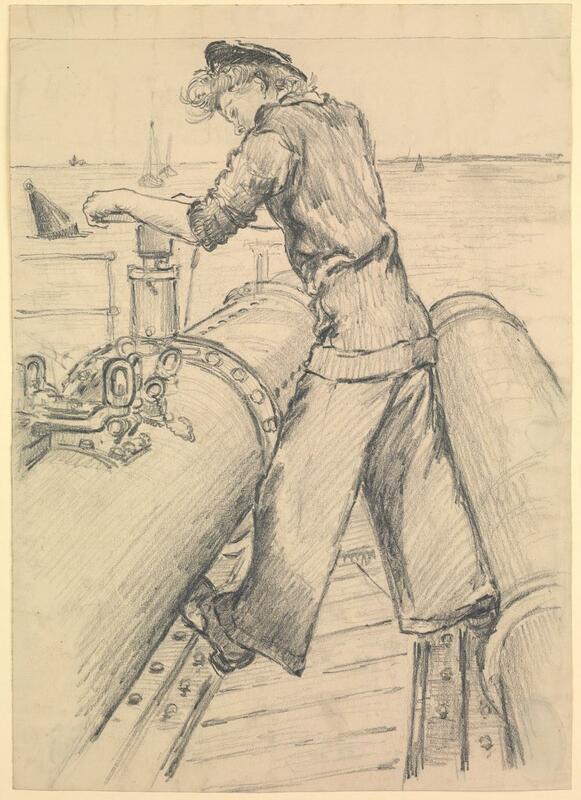 In a 1947 letter to the National Maritime Museum, accompanying the artwork, Reed wrote that she drew in her “off-watch time,” and intended the portraits to be a “sketch record of the various interesting kinds of work being done by Wrens.” The drawings have an informal, intimate quality that’s quite different from the brave, patriotic approach of a recruitment poster. The museum is looking for more information on Reed, and asks anyone who might know what happened to her after 1947 to be in touch. 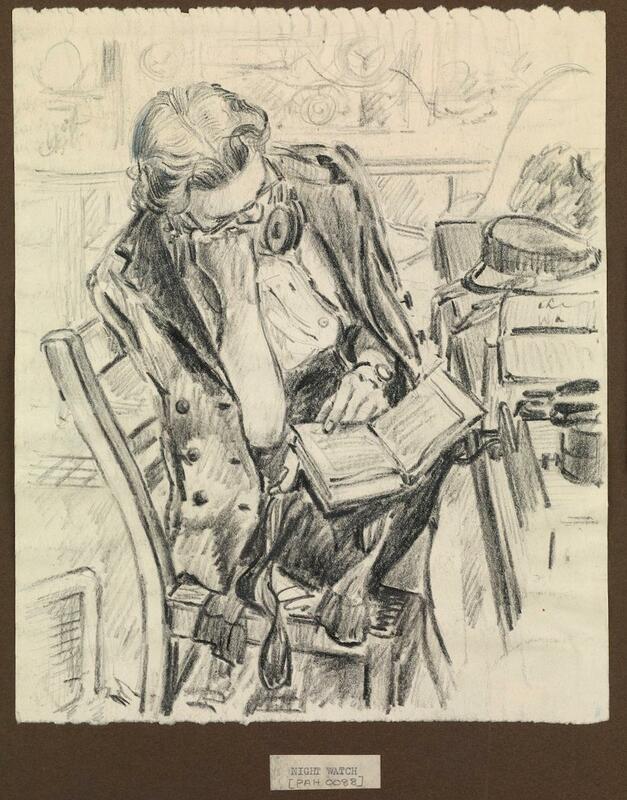 A group of Reed’s drawings will be put on display at the Royal Museums Greenwich, as part of the exhibit “War Artists at Sea,” starting on March 15. “Night Watch,” by Gladys Reed. 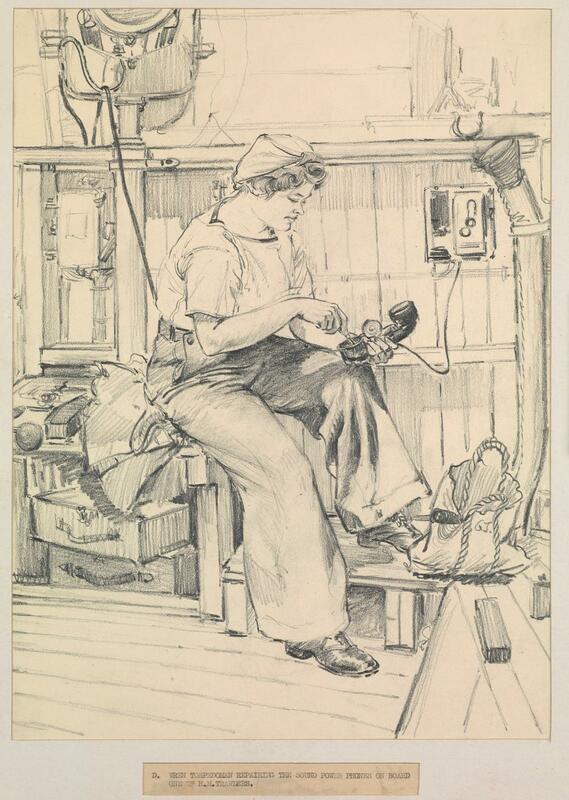 “Wren Torpedoman Repairing the Sound Power Phones on Board One of H.M. Trawlers.” By Gladys Reed. “Wren Wireless Telegraphist Receiving a Message.” By Gladys Reed.